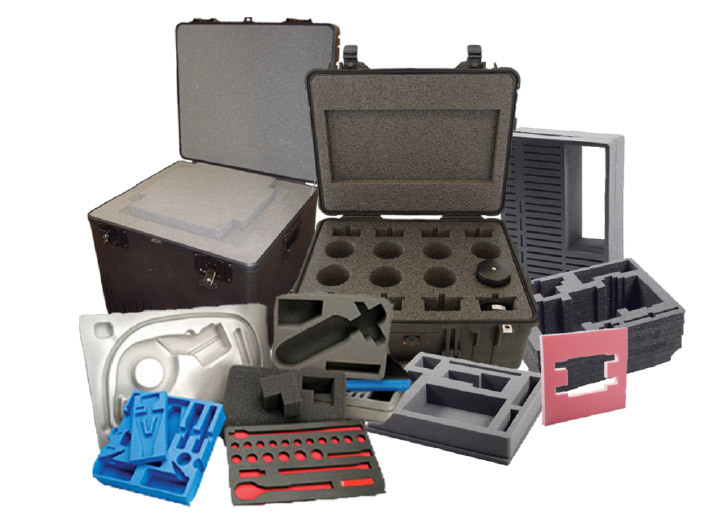 Let us protect your products with cases! 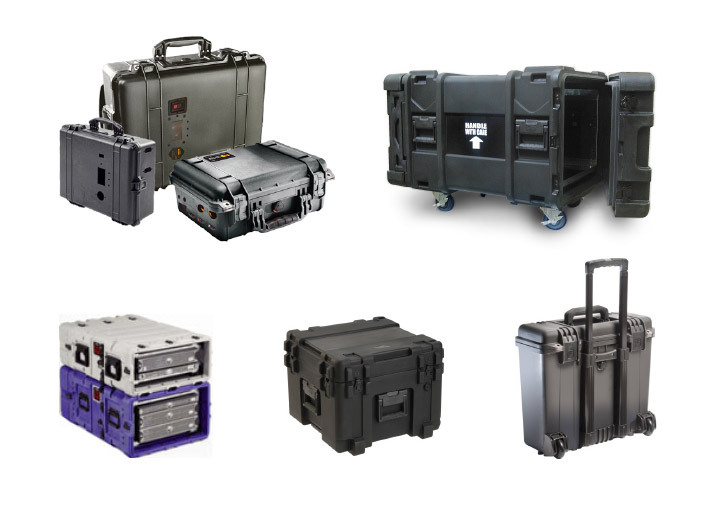 We provide custom case solutions for the most demanding applications. Can't find the right case for your specific demands? 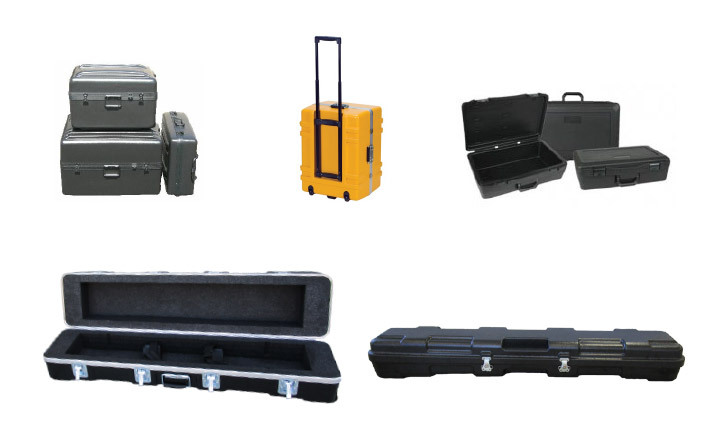 We design and manufacture custom cases to meet your specifications. Additionally, our foam fabrication is second-to-none, built in-house with advanced equipment including water-jet, custom and fabricated capabilities. Many sizes are available for immediate delivery. 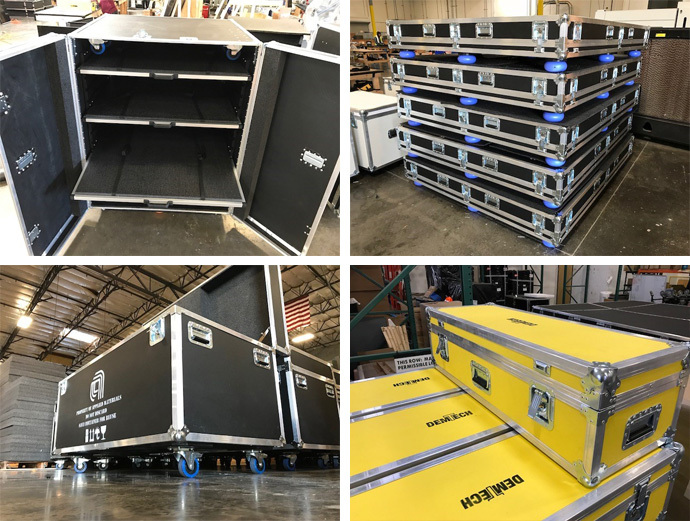 From light duty carrying cases to heavy-duty transit containers, TransPak carries a wide-range of sizes and configurations to meet your every need. Custom fabricated ATA-300 style cases are available in a variety of panel material thicknesses, colors and substrates. Additional items which can be incorporated into your custom design include retractable handles, recessed wheels, ramps, shock mount systems, shelving, casters as well as a variety of other options. Our large inventory of materials allows quick turn-around, even for complex cases. Our expert designers can help create a cost-effective robust design that is fully reusable and environmentally friendly. Custom fabricated cases can help avoid costly one time use packaging that ends up in a landfill. With our custom cases, the presentation value to your customer is enhanced considerably and shows your commitment to environmentally friendly packaging.